Shares in India's Tata Motors sank almost 30% today after problems at its Jaguar Land Rover unit dragged the luxury carmaker to India's biggest quarterly loss. It announced a net loss of 270 billion rupees ($3.8 billion) for the quarter ending December yesteday due to a $3.9-billion write-down on JLR. That compared to a profit of 12 billion rupees the same time a year ago. 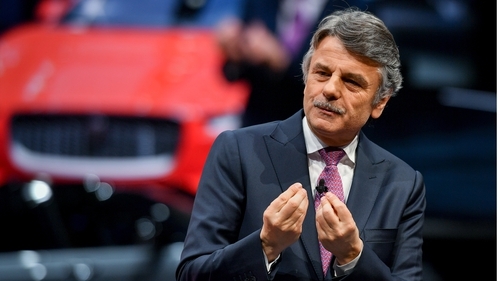 "This is a difficult time for the industry, but we remain focused on ensuring sustainable and profitable growth, and making targeted investments, that will secure our business in the future," JLR chief executive Ralf Speth said. Falling car sales in China - a key market - have buffeted Tata Motors, on top of uncertainty about Britain's imminent and potentially disorderly departure from the European Union. Its shares had already slumped more than 50% in the past 12 months, according to Bloomberg. "Trade barriers and logistic issues from a disorderly Brexit could have an impact on JLR's competitive positioning and lead to significantly lower sales and profitability," Fitch said. Today's stock plunge was Tata Motors' biggest intraday fall in 26 years, Bloomberg said.